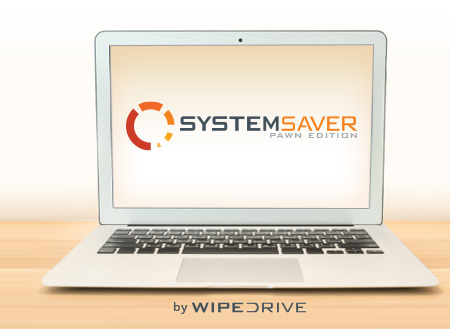 SystemSaver Pawn Edition is pawn shop software which allows you to appraise computers, permanently erase all borrower data, and show customers what they're buying, all with one easy-to-use interface. 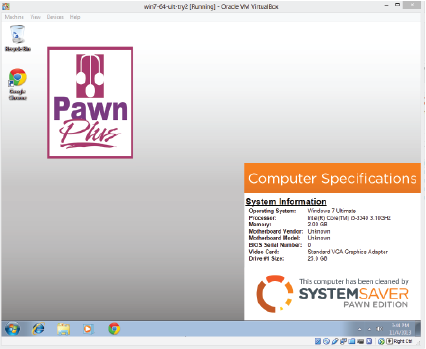 Get a fully-functional version of SystemSaver Pawn to try today for free. Just fill out the form below. We can customize what your potential buyers see when the computer is sitting on the shelf and display the computer's specifications. Not only will this make customers more likely to buy, but at higher price points too! 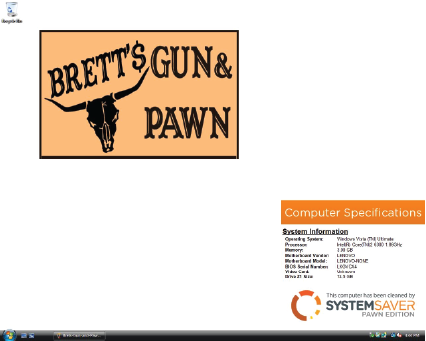 Bob, Express Pawn and Gun "I have to tell you - my customers really like seeing what's in the machine (from the system-spec wallpaper). 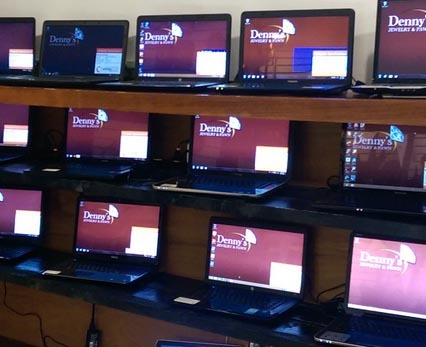 I took in 22 laptops from our Potosi, Missouri store and have sold every one I've wiped. In fact we sold 5 in one day!" Lane, Ace Buyer "I can't say enough good about WhiteCanyon. When I bought a "bundle" they made a custom display with our logo that also displays all relevant computer specs for the customers to compare machines... FOR FREE! Looks totally professional, and we get tons of complements! If you're not using them and sell computers / cellphones & iPhone/iPads, you are seriously missing the boat!" 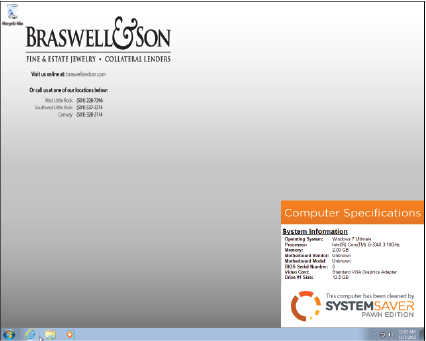 Jarrod, Mr. Pawn "SystemSaver Pawn has been very important to my business. It has given the ability to consistently and reliably wipe personal data from pawned computers so that I have the confidence that all my shops are compliant with privacy laws. This also makes it easier to to resell computers because they're cleaned to be like new and the customer can see what they're getting." Anton, E&B Pawn "Prior to using SystemSaver we had to clean computers by hand which took time and employee resources. 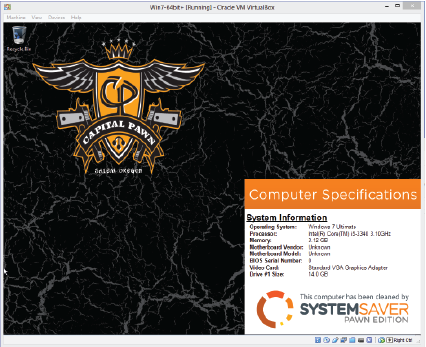 The software also personalizes each computer by adding our custom logo to the background. The result is more professional presentation and easier sales. Excellent product. SystemSaver helped address federal laws about information privacy by preventing identity theft from personal computers that were re-sold." 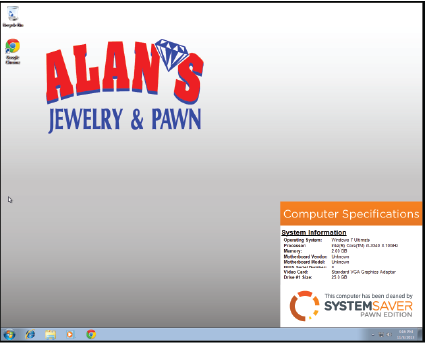 Johnnie, Swop Shop "We are very pleased with SystemSaver Pawn. I highly recommend this product to any Pawn Shop or anyone who wants to remove personal information from a computer. 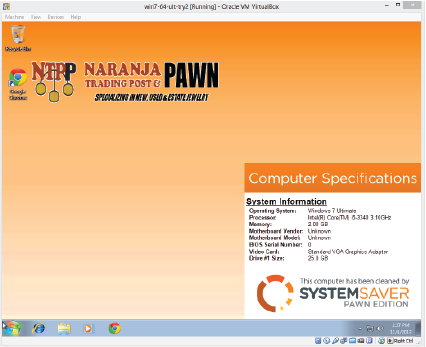 I have no hesitation in offering out my name and number to anyone who would like to talk about our experience with SystemSaver Pawn. Customer satisfaction beyond compare!" 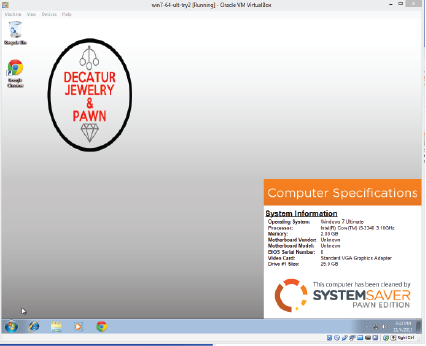 Denny's Jewelry Pawn "In our state we have to remove all customer's information before we can resell the laptop. 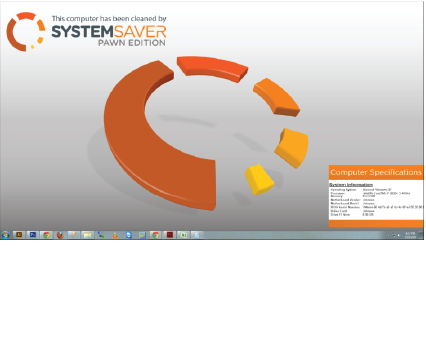 After the trial [of SystemSaver Pawn] we decided to buy the software. The WhiteCanyon staff walked us through the first clean and have helped us on a few more cleanings. It's nice to have the support from WhiteCanyon after you buy their product. We like the fact that after the cleaning takes place it will put our logo and the specs on the main screen. 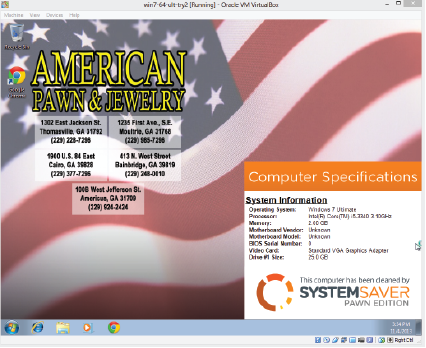 I would recommenced WhiteCanyon Software if you need to clean multiple laptops/computers."